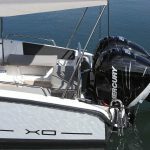 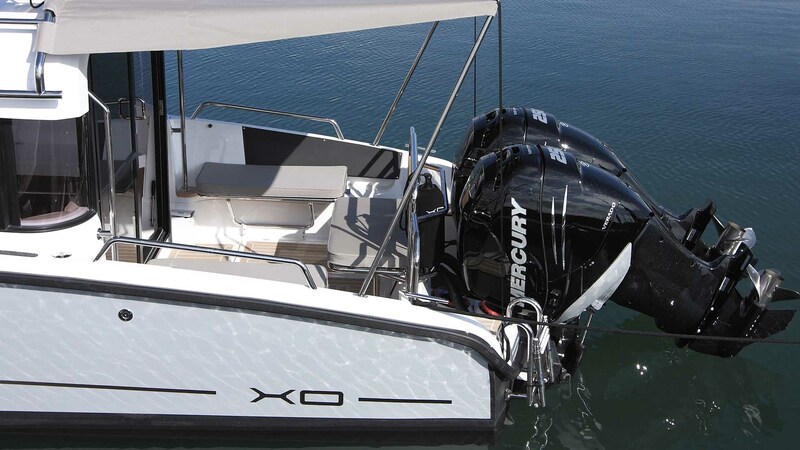 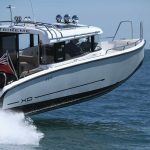 The 270 is XO’s best-selling model and it’s easy to see why with its renowned sea-keeping performance, striking design and year round comfort. 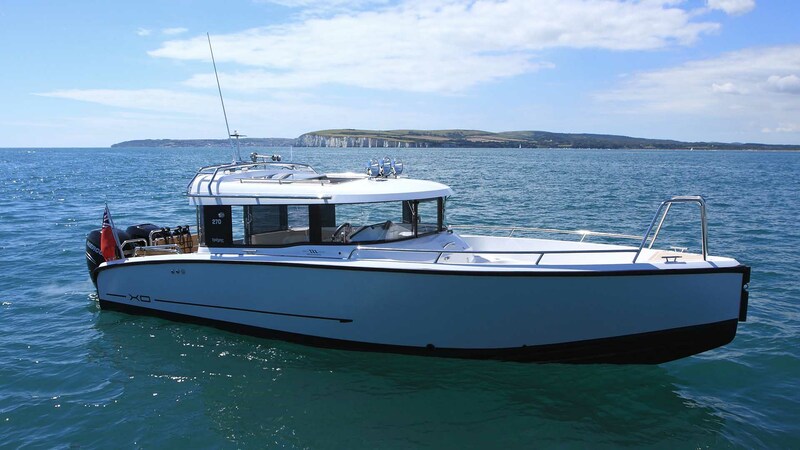 The convertible saloon/sleeping berth, together with the optional toilet and galley module ensure the 270 is ready for comfortable weekends away. 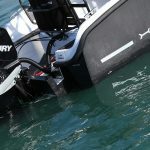 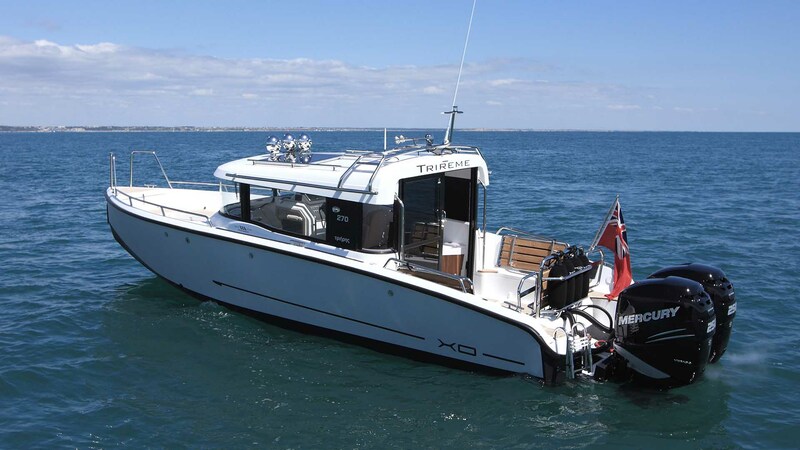 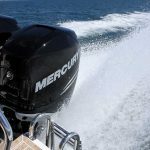 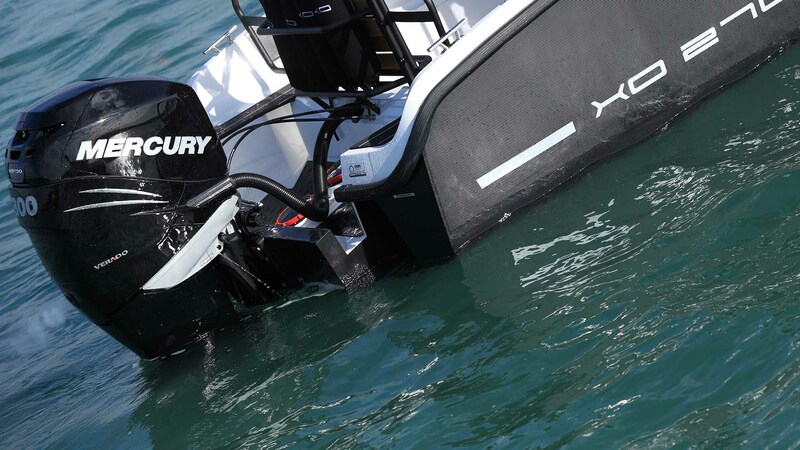 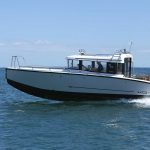 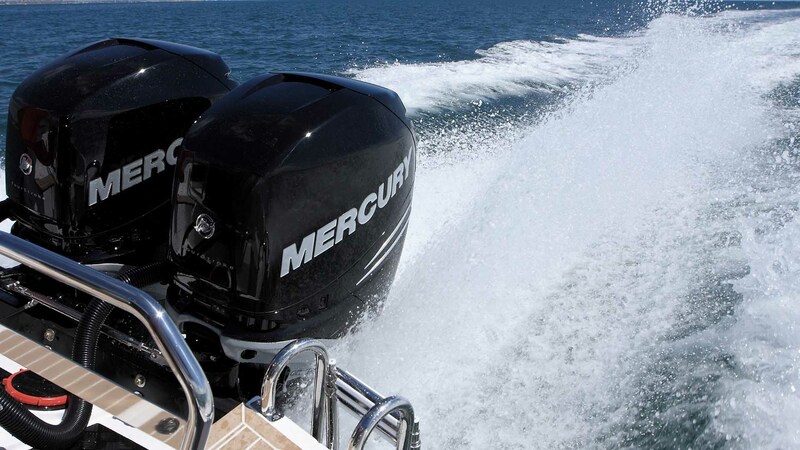 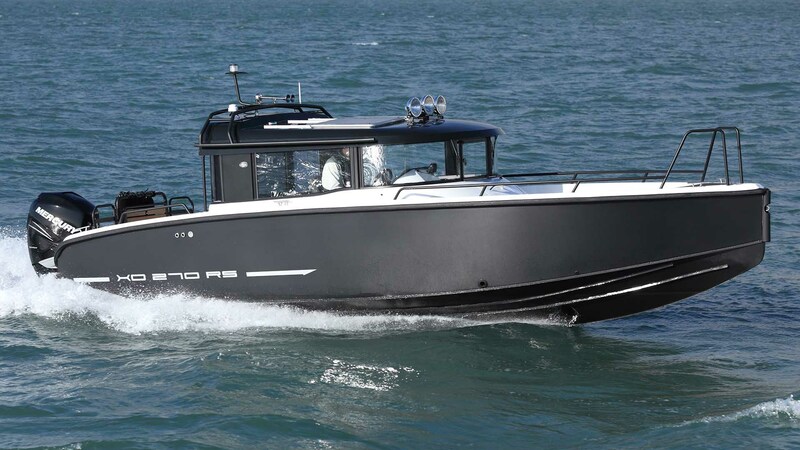 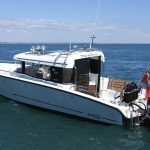 The “OB” version is available with either single or twin outboards for impressive high speed performance. 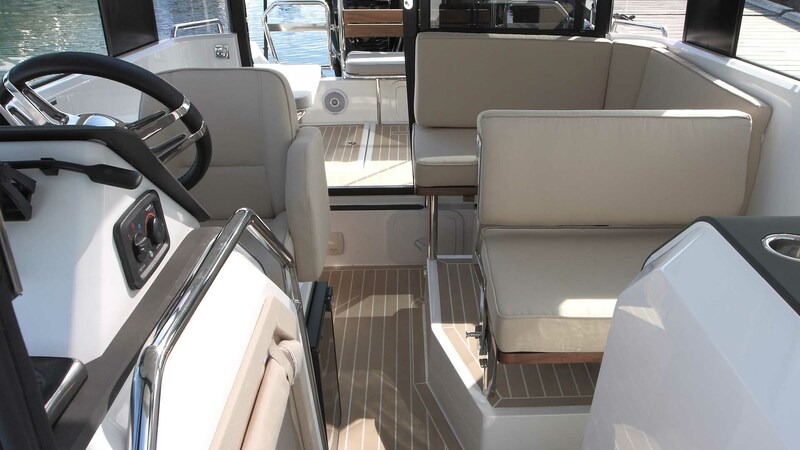 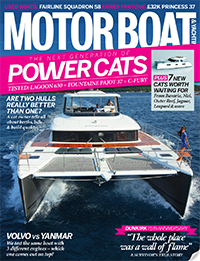 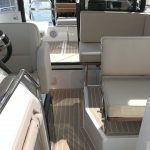 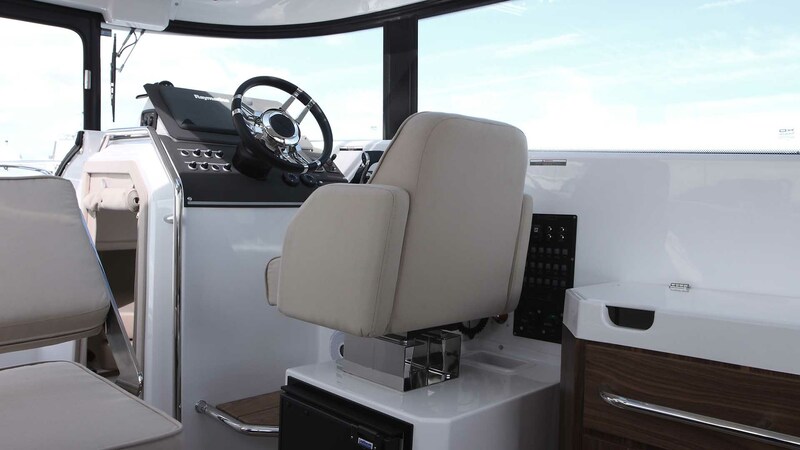 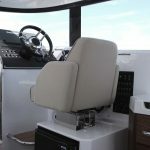 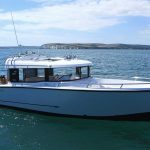 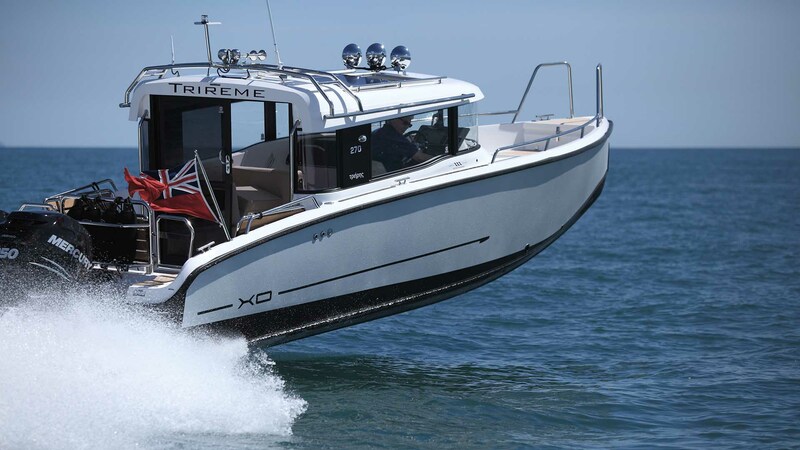 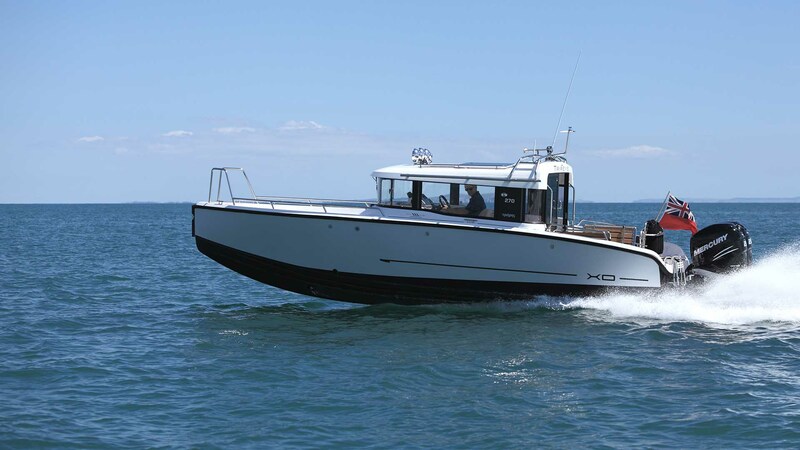 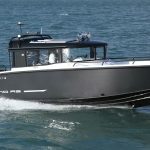 It also features an open forward cockpit and a spacious aft deck with various seating options.